Britain’s biggest Music Hall show is back on the road and is calling into Darlington as part of its tour. 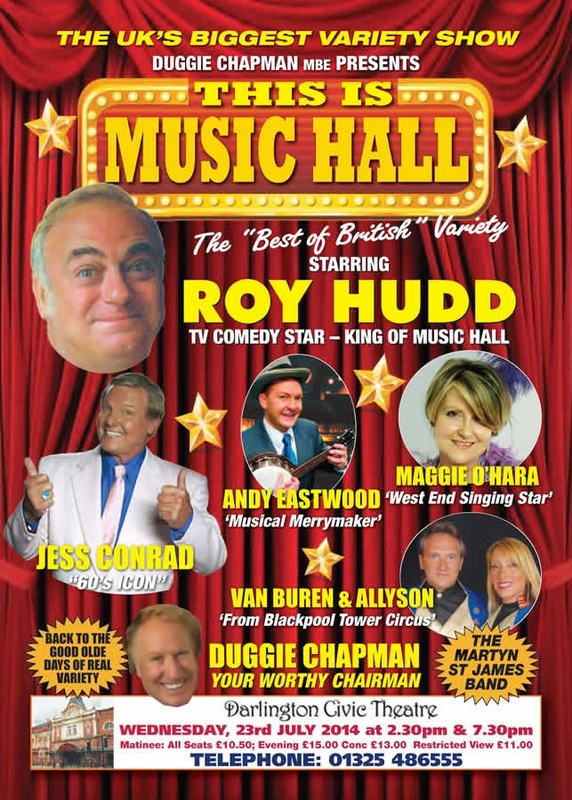 Starring veteran comedian Roy Hudd, who is joined by 60’s acting and singing icon Jess Conrad, multi-instrumentalist and variety entertainer Andy Eastwood, versatile singer Maggie O’Hara, multi-talented illusionist Van Buren and his lovely assistant Allyson, considerably skilled instrumentalist Pete Lindup, and with Duggie Chapman as your worthy chairman. Join Roy and Company for this special revival of the Great British Music Hall tradition!